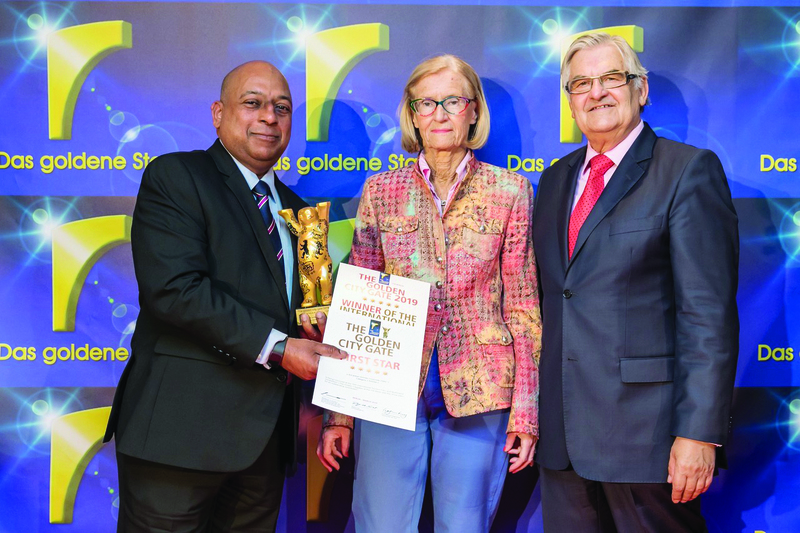 Manoj Gunawardena, Regional Head Europe, SriLankan Airlines, receiving one of the awards from Wolfgang Jo Huschert, President, Golden City Gate Awards. SriLankan Airlines, the National Carrier of Sri Lanka and a member of the oneworld alliance, reaffirming the global appeal and innovativeness of its marketing communication endeavors yet again, won three awards at Golden City Gates Awards 2019 at ITB Berlin, the world's largest tourism trade fair. The 19th edition of the awards saw a jury of 40 members judging over 148 submissions sent by 32 countries. SriLankan Airlines was awarded a First Star award in the ‘Airlines corporate' category for its product video, another First Star for its India Outbound video in the TV Cinema spot category and a Third Star award in the same category for its Melbourne Marathon video 2018. Vipula Gunatilleka, Chief Executive Officer, SriLankan Airlines' said, ‘This is the third consecutive time that SriLankan Airlines was commended at this esteemed forum, and the second consecutive year that we managed to bag three awards. These awards reaffirm the consistency and the global appeal of our marketing communication content. They will be an inspiration for us explore new avenues in creative conceptualization and creation of unique content to aptly portray SriLankan Airlines as a global brand with inherently Sri Lankan attributes." The Airlines' corporate video that received a First Star Award, depicts the true Sri Lankan warmth and hospitality through all aspects of its service. Whilst showcasing the state-of-the-art comforts, through clear-cut messages and staying true to the theme of portraying the SriLankan experience, the video captures the human element which makes SriLankan stand out from the rest. Flashes of the island home, Sri Lanka unveils the depths where the legendary hospitality is nurtured and handed down from one generation to another. The Third Star award winning entry ‘SriLankan Airlines at Melbourne Marathon 2018' narrates the story of Melbourne, the Airlines' latest network addition, in the backdrop of the historic Melbourne Marathon festival. SriLankan Airlines was the title sponsor of the Half Marathon event of the Marathon festival for two consecutive years. Last year's event was significant as it became a sold out event with 12,000 athletes, cheered on by an overwhelming number of spectators when they ran past some of Melbourne's famous landmarks before finishing with a lap of the iconic Melbourne Cricket Grounds. The video unfolds this visual journey, preserving in it the spirit of sportsmanship, perseverance, pride of achievement and the sense of fulfilment, with brand elements of SriLankan Airlines imbued to showcase the Airline's connectivity strength. 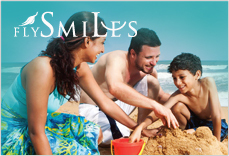 Saminda Perera, Senior Manager Marketing, SriLankan Airlines, stated, "As the National Carrier of Sri Lanka, we have always endeavoured to portray SriLankan Airlines in the most appealing way so as to inspire travelers to experience our world renowned service and convenient connectivity. These three awards prove that we have conveyed our message loud and clear, in a manner that transcends all boundaries. 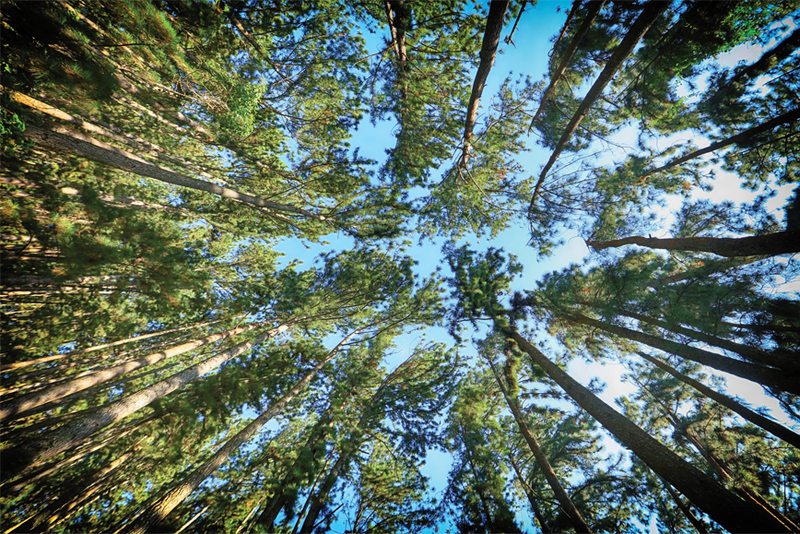 We take pride in producing marketing communication content which is universally admired and commended." Last year, SriLankan Airlines was awarded a ‘first star' in the campaign category for its Melbourne launch campaign 'Two Cities, One Spirit.' It also bagged a ‘second star' in the same category for its brand campaign in China themed 'The Spirit of China, the Story of Sri Lanka.' The third, another ‘second star', was bestowed upon SriLankan for its video 'The Largest Carrier to India' in the TV Cinema spot category. SriLankan Airlines has been aptly supported by its creative agency, J Walter Thompson Sri Lanka in all these creative endeavors. The latter's creative expertise and the understanding to align with the global trends have made its association with an international airline truly remarkable and award-winning. The collaboration with weWine films in creating the visual narrations has brought in novel perspectives that are found appealing and effective by the discerning audience. 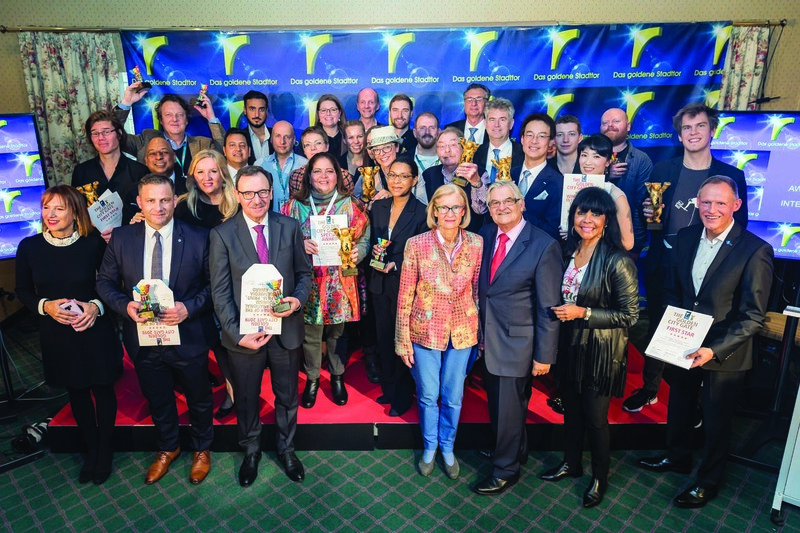 Every year the Golden City Gate Awards recognizes and rewards the creative efforts of the global tourism industry, expressed through various mediums. The artworks are judged by an international jury based on a point system and each submission is evaluated for its creativity, innovativeness, design, structure, authenticity and whether it encourages the audience to visit the destination. Some of the other winners of Golden City Gate 2019 were Abu Dhabi of United Arab Emirates (Diamond Award, First Star-City International, First Star-Country International, First Star-Arts and Culture), ANA Japan (First Star-Safety Video Airlines), Turkish Airlines (Second Star- Safety Video Airlines) and Incredible India (Second Star-Country Promotion). Winners of Golden City Gate Awards 2019.